When the sky really is falling and sanity has flown the coop, who will rise to save the day? Together with his hysterical band of misfit friends, Chicken Little must save the planet from an alien invasion and prove that the world's biggest hero is a little chicken. 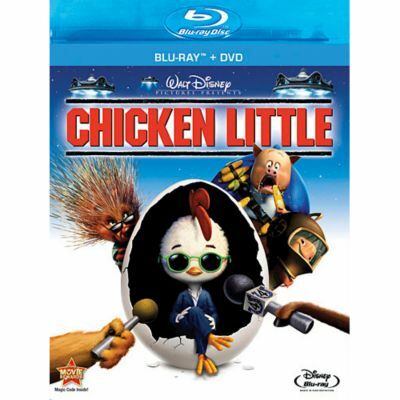 When the sky really is falling and sanity has flown the coop, Chicken Little and his hysterical band of misfit friends must save the planet from an alien invasion and prove that the world's biggest hero is a little chicken. Save the day again on DVD. Let it begin! Join Bolt, the canine action hero, Rhino, his right-hand hamster, and Mittens the cat for the b-awesomest adventure ever! Government-trained guinea pigs set out to save the world from impending evil with pint-sized stunts and explosive action! While on his way to pitch a movie idea to Walt Disney, our tour guide discovers how a cartoon is created through art, sound, and color.